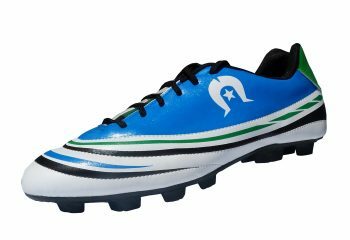 Lightweight football boots featuring high density PVC synthetic leather uppers with a grain finish; extra strong for long life. 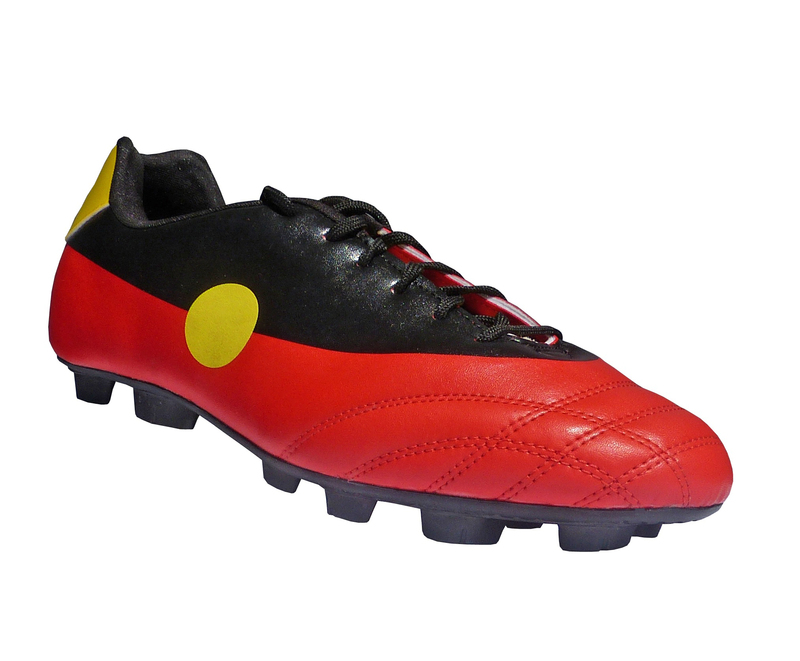 Other features include cushioned EVA inserts and advanced molded cleat design for extra traction. 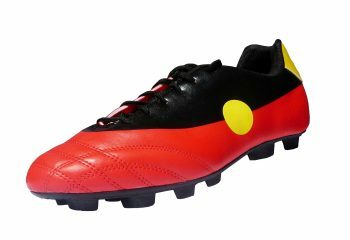 Adult sizes available (US) are 7,8,9,10,11 and 12. 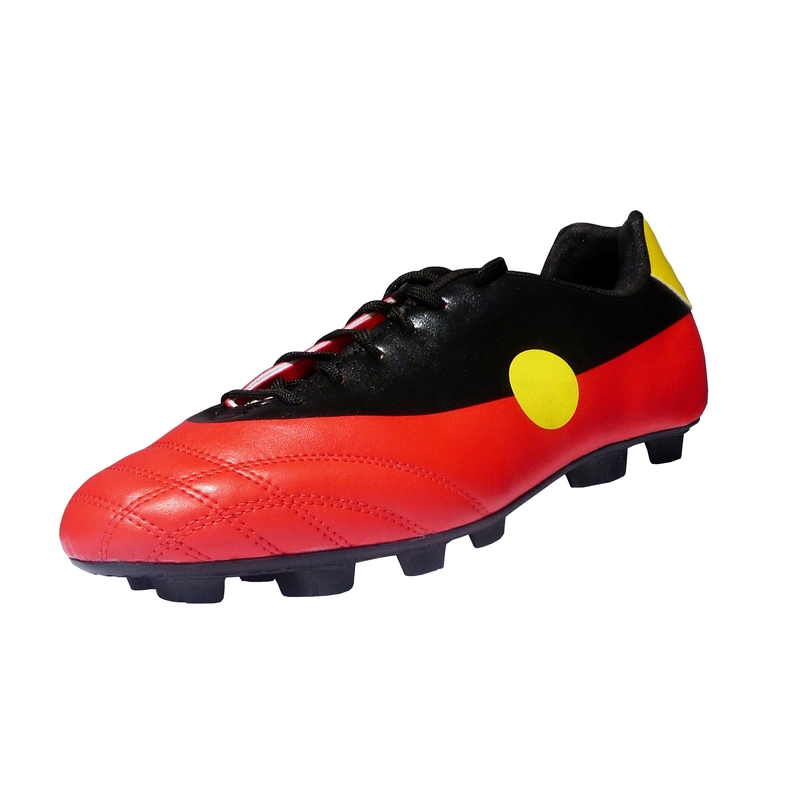 These stylish boots are built for comfort and speed and made in the eye catching design of the Aboriginal flag. 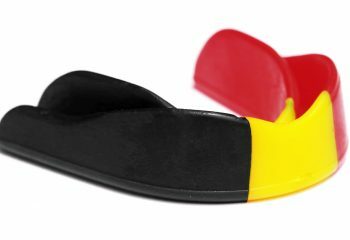 Show off your colours in these deadly boots! 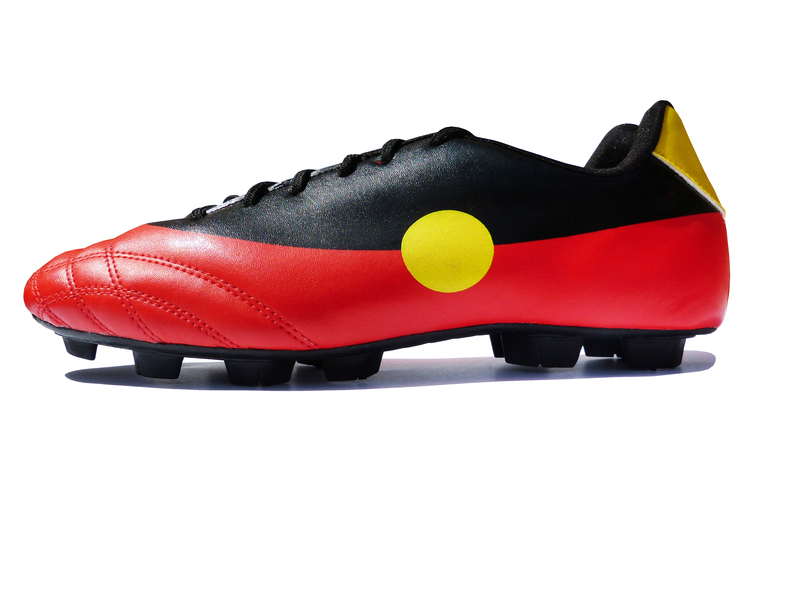 Fully licenced by the designer of the Aboriginal flag, Mr Harold Thomas. Our products are mailed using standard Australia Post prepaid Parcel Post satchels. 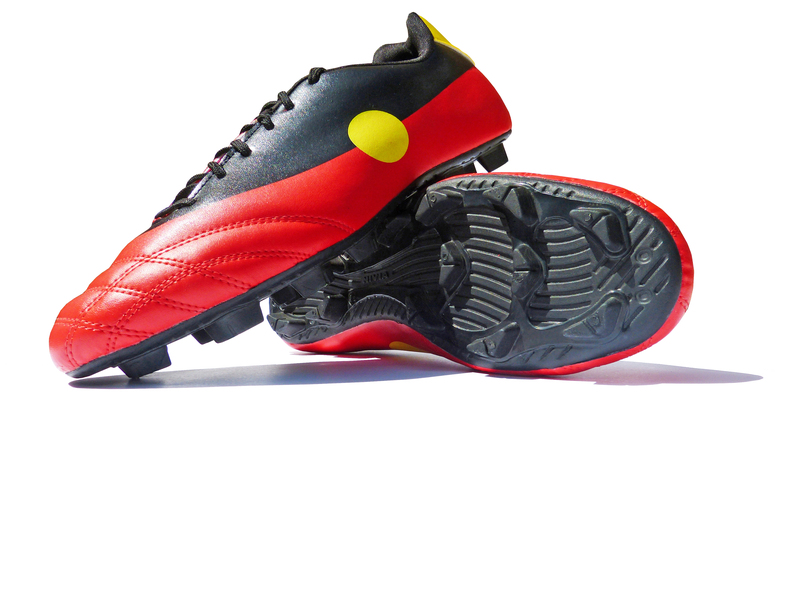 Shipping costs will be added to your cart prior to checkout.